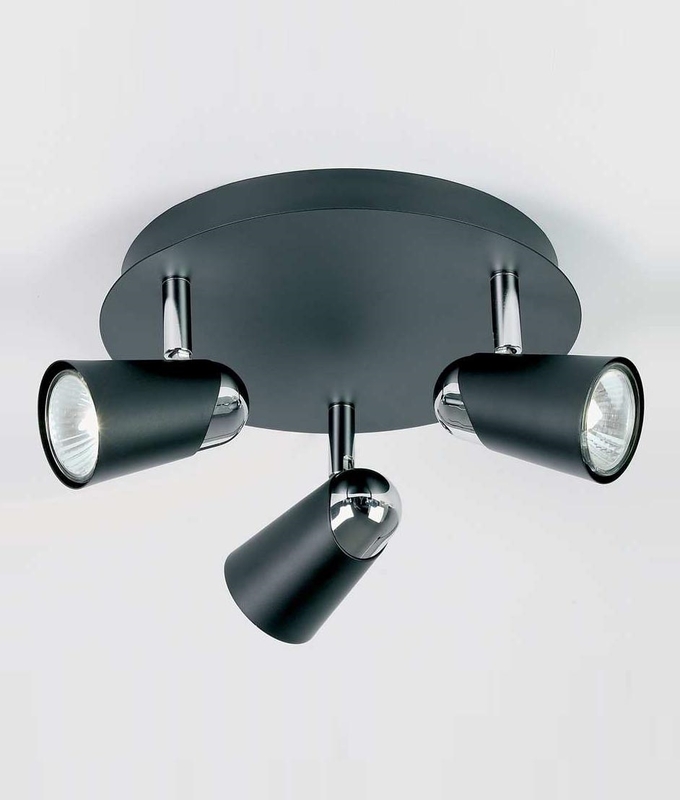 An adjustable black and chrome spot light, ideal for those retro or monochrome decors. Add a touch of style to your house with this ceiling plate. With the ability to adjust and angle the heads you can place the light exactly where you want it. Ideal installed in sitting areas, bedrooms or studies, where you may want to direct light to more than one area. Designed for GU10 base mains lamps up to you 50 watts. Can be used with LED lamps if preferred for energy efficiency. Can I use this lamp in the bathroom? This light can be used in a bathroom as long as it is not fitted in Zones 0, 1 or 2. That said if your bathroom has high levels of condensation i.e. because you do not have an extractor fan, or you have a super high power shower and set the temperature high enough to cook an egg, you may find that corrosion is an issue.